Finding your inner kid: where did all the snow go? Some of you reading this are probably in the midst of what is being reported as one of the worst blizzards to hit the East Coast since the infamous Blizzard of ’78. If you are, you are probably NOT wondering where all the snow went! Ahhhh, the Blizzard of ’78….. In the summer of 1977 my family moved from Michigan to St. James, New York, a little town on the North Shore of Long Island. I was going into 5th grade, my older brothers into 8th and 9th grades. Long Island is typically not a very wintry place. Winter’s were cold, but seemed to be more rainy than snowy and in the many years we lived there it was rare to have a white Christmas. I’m sure there is some geographic explanation to this based on the island being surrounded by the Atlantic Ocean on the southern shore and the Long Island Sound on the northern shore, but I don’t really know why. But our first winter there we were treated to the Blizzard of ’78. It really was an epic snowstorm, worthy of the praise it still gets today. Although official tallies of the amounts of snow were mostly in the two to three feet range, it was the drifting that was so amazing. 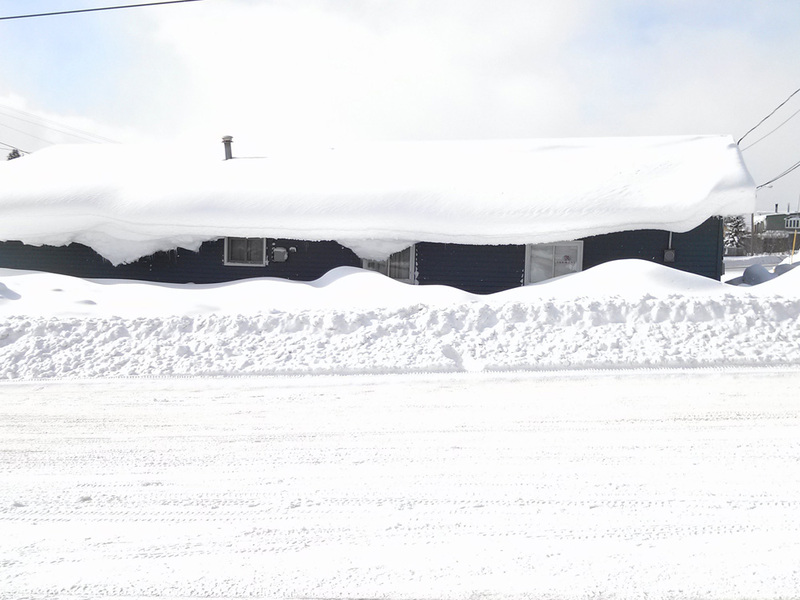 We awoke to drifts of snow, three or four feet deep in parts of our driveway and drifts up against the house that were probably four to five feet high. It was much, much worse in many places. I remember coming out the first morning of the storm to see just the top half of our cars sticking out of the snow. I remember my dad and brothers and I digging out the driveway and creating a maze of pathways with crisp white walls of packed snow that we could walk through to get around our property. Of course, I remember school being closed for several days. There was so much snow we were able to dig tunnels and make forts that we, as kids, could actually climb inside. For a kid in 5th grade it was an absolute winter dream come true. Granted, that was an unusual snowstorm, but in general it doesn’t seem to snow as much as it did when I was a kid. Or does it? I’ve heard others make that same comment and sometimes I wonder if that is really true, or if like a lot of things I remember from childhood, it just seemed like more snow because I was smaller. We’ve seen our share of blizzards in the twenty years or so that my family has now lived back in Michigan. And it snows here… A LOT. But it’s been quite some time since we’ve had a snowstorm rip through and drop two feet of snow on us. It has happened occasionally but not that often. It’s weird, but I wonder how my kids will remember the Michigan winters and if they’ll ever get to experience a winter storm that they’ll talk about for the rest of their lives. I was up in Houghton Michigan this week. Houghton, Michigan is a little town, built on the mining industry that sits within the Keweenaw Peninsula of Michigan’s Upper Peninsula. It’s a land mass that juts far out into icy cold Lake Superior and with the water on both sides, the lake effect snow machine is always on there in the winter months. Houghton on average records in the neighborhood of about two hundred inches of snowfall every year, although talking to people in the area, the last few years have been mild for them as well. But this year, at least within the last couple of weeks, they have been getting hit with a lot of snow and the town appeared like what I remember my little world looking like during the Blizzard of ’78. I thought a lot about my kids during the few days I was in that area. Not only because I was away from home, but because the constant snowfall, the foot high covering of snow on the rooftops of the houses in the local neighborhoods and the thirty foot piles of snow that the plows had stacked up, brought back a little twinge of that childhood bliss that comes out when the snow is deep, the wind is blowing and you’re bundled up in your winter jacket and boots and gloves and a hat. Like many of us in the adult world, I’ve realized that each year of my life, the “inner kid” in me gets harder and harder to find. He’s still there but it seems to take a lot more coaxing to get him to come out from behind the curtain of work stress and technology and raising teenagers and doing laundry and dishes and all the other grown-up things I have to do. A massive blizzard isn’t going to change that but just as a snowflake falls from the sky, lands on the ground, melts to water, and evaporates back into the air, so do our lives cycle through many different stages and finding ways to set aside those responsibilities and keep that “inner kid” alive, no matter what stage you are in, is so important. There’s no question, it can be as challenging as shoveling a driveway covered in three to four feet of snow. Last night the same storm that is now pounding the Northeast, a Clipper I heard it called on one weather report, dropped three to four inches of snow in our area. Not much in the big picture, but probably just enough snow to go sledding.